Soar through the clouds, feeling free as a bird while gliding through the sky over Lookout Mountain Flight Park in Chattanooga, Tennessee. After being strapped into a protective harness, first timers ride tandem with an experienced instructor. 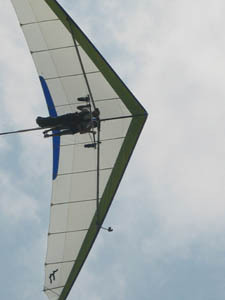 The ride starts when an ultra light plane tows the glider and its two passengers up to 2,000 feet and then releases it for a gradual descent (about 12-20 minutes). Bask in the quietness of air-propelled flight without having to jump off a cliff while hanging onto the kite-like structure. While the instructor maneuvers the craft by catching thermals and wind drifts, you just stretch out and relax for the duration of this magical ride. Floating through clouds gives an incredible sensation of freedom—at the mercy of the winds, yet controllable with body movements. Too soon, the glider drifts down, and you’re on terra firma again—looking up where you just floated through the sky. 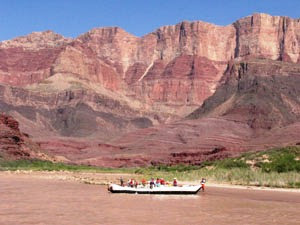 Sedona is known for stunning vistas of red rock formations, natural arches, deep gorges, and lofty peaks. Dramatic landscapes surrounding this Arizona town just beg for exploration—and excellent hiking opportunities for all skill levels are within easy reach. 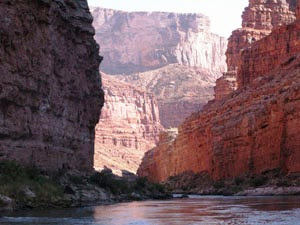 A visit to the Grand Canyon’s South Rim many years ago left me fascinated with its natural beauty and magnificence. 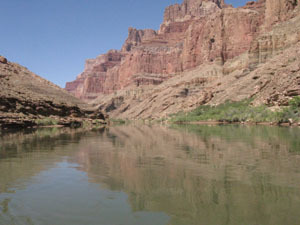 I vowed to return and traverse the Colorado River from the depths of the canyon, to see the massive walls from the bottom up instead of top down. For 10 days my companions and I camped on the banks of the dam-fed river, hiked on narrow ledges and scrambled over jagged rocks, splashed through 160 rapids, bathed in 45 degree water (or held-out for frolicking in waterfalls), and brushed away blowing sand. I learned skills I’d never needed before--pitch a tent, go potty in the river, brush my teeth in the dark--put up with daily hat-hair and wet feet, and listened to unfamiliar sounds while trying to snooze. But I discovered, as you will too, that stretching one’s boundaries in order to view spectacularly beautiful and ever-changing vistas of the Grand Canyon's walls--while learning history and geology of the region--were worth any inconveniences.